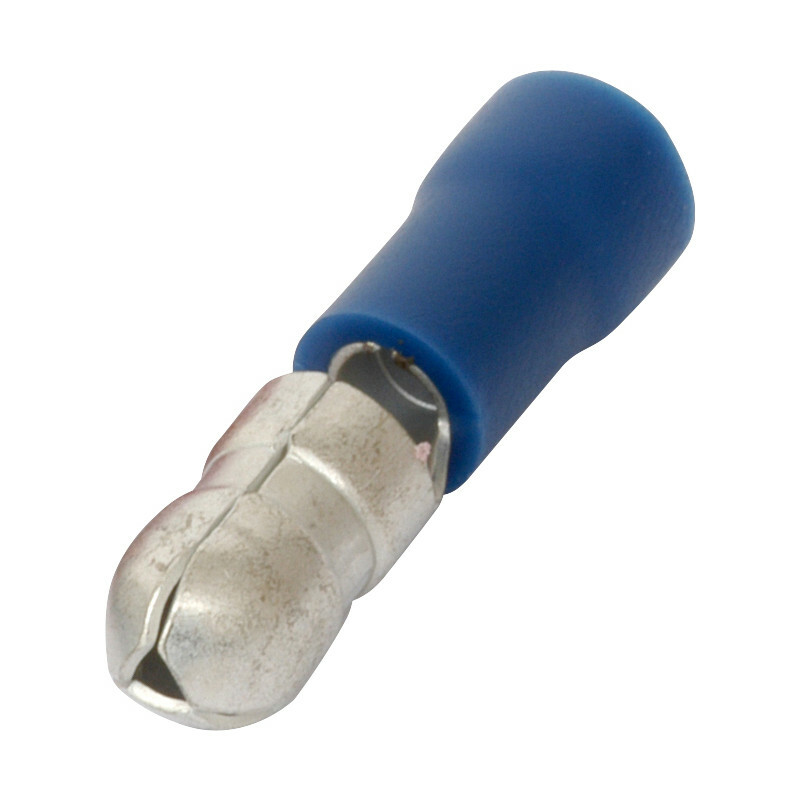 Bullet Connector Male 2.5mm Blue (100 Pack) is rated 4.4 out of 5 by 5. Rated 4 out of 5 by Goingrashy from As expected Nice connectors and work very well. If I could think of anything negative it would only be that they were a little too tight to connect together with the female. This, obviously is a plus side for conductivity, but I had to connect in a difficult location and as they were such an interference fit, it proved tricky to ensure I had actually got them joined securely. Rated 5 out of 5 by Grant1976 from Works well Needed some crisps for the car they work well with ratchet crimpers would recommend.